The Police and Security authorities in the Rhineland and Westphalia, also, reacted immediately to the directive from the Reich Security Head Office. 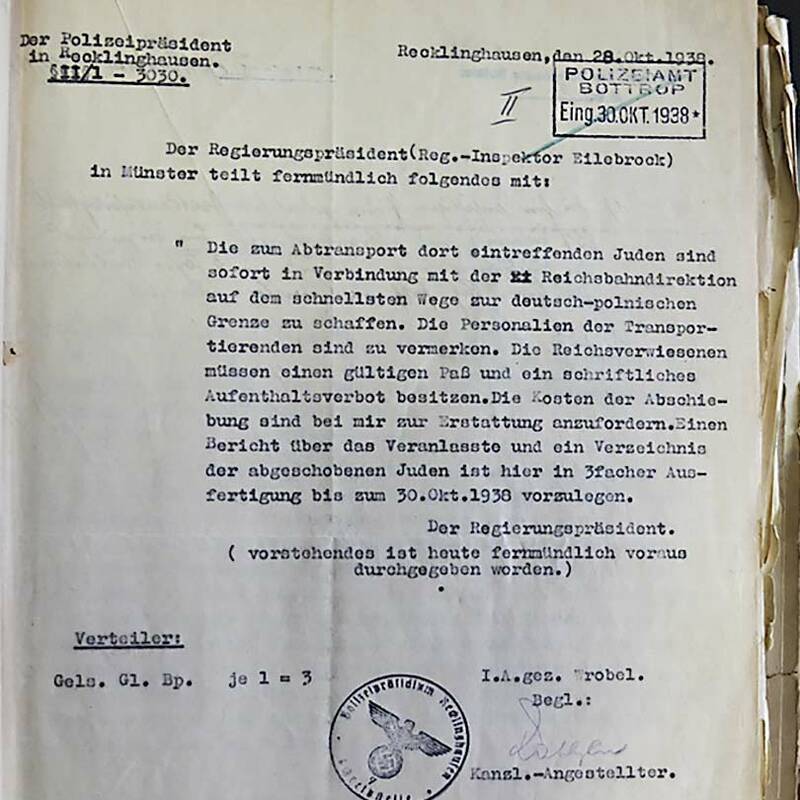 In Düsseldorf, police officers forced their way into the homes of Polish Jews during the night of 28 October and arrested men, women and children. Without being allowed time to pack, they were taken to the nearest police station and from there to the police headquarters. The following afternoon the arrested people were taken by bus to the deportation train. The Polish Consulate in Düsseldorf was at least able to help about 100 people with the required inspection stamps in their passports. In Essen, too, entire families were rounded up from their homes in the early hours of 28 October. In Cologne, the arrests for the surrounding area were coordinated by the Gestapo (Secret State Police). Eyewitness accounts indicate that the Police units involved had discretionary powers. 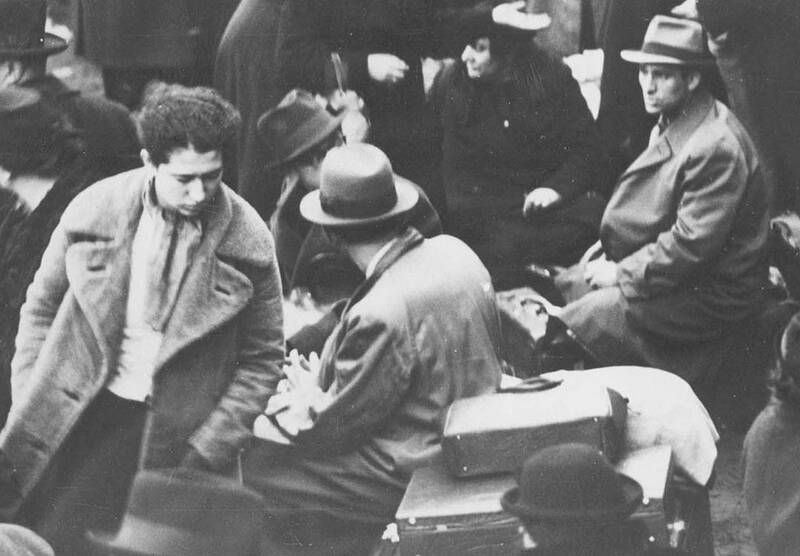 For instance, young people and their carers in the Jewish orphanage, Abraham Frank-House, were at least able to pack a suitcase and travel by tram to the station at Cologne-Deutz. Women from Cologne with children were only to be deported if they were widowed or divorced. Many towns hold records of the deportations. According to these, there were 600 deportations from Dortmund and from Cologne, Essen had 420, Düsseldorf 361, and from Gelsenkirchen 70 people were deported to Poland. Whilst many letters written by deported people say that they were taken to a station through side streets, others describe the rows of gawping townspeople through whom they were herded. ** Max Eschelbacher, Der achtundzwanzigste Oktober 1938, in: Bastian Fleermann/Angela Genger, Novemberpogrom 1938 in Düsseldorf, Essen 2008, p. 335-338, here p. 337. Photo credit: Images at the top: Police headquarters of Düsseldorf. Photo Credit: Sabine Würich. Citizens of Cologne in a den in Zbąszyń, November 1938. Yad Vashem digital collections nr 62490. 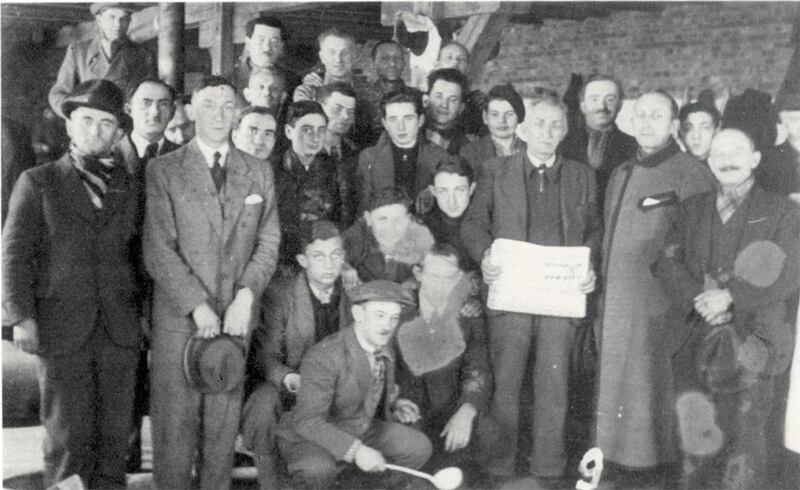 Deportees after the arrival in Zbąszyń. NS-Documentation-Center of Cologne, Corbach collection. Bottrop City archives, PO nr 4.